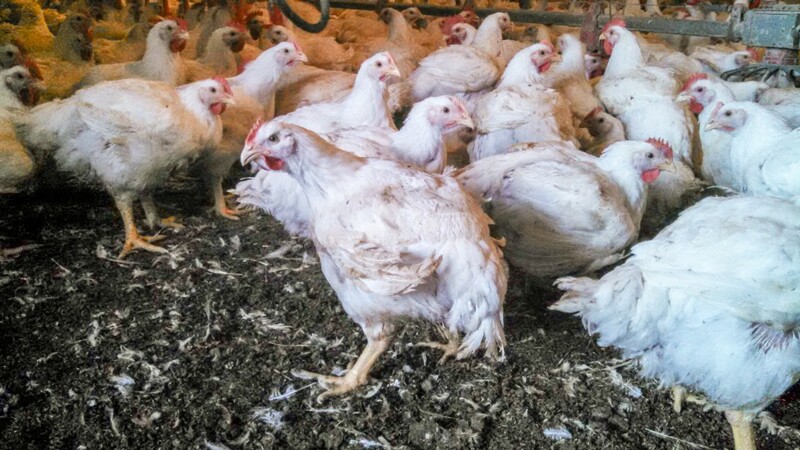 Tyson Foods ended a contract with a chicken supplier after an animal rights group released footage showing workers beating birds with spiked sticks and deformed chickens crammed into overcrowded conditions. Tyson Foods (TSN) used the chicken from the plant to supply McDonald's (MCD) with its chicken nuggets. The investigation and video prompted both companies to respond. "Members of our animal well-being team are investigating, however, based on what we currently know, we are terminating the farmer's contract to grow chickens for us," said a Tyson spokesperson in an email. An investigator for Mercy for Animals applied for a job at T&S Farm in Dukedom, Tennessee, where he worked in July and August of this year. He captured images of T&S workers clubbing birds with spiked sticks, standing on the birds and mutilating them. The Mercy for Animals video also showed deformed chickens and birds with broken legs and tumors. The chickens were then shipped in crates packed so tightly that the birds couldn't move. The Weakley County Sheriffs Department told CNNMoney it is investigating the allegations of abuse. "What we've seen on the video is unacceptable and we will not tolerate it,'' said Dr. Christine Daugherty, who oversees animal well-being for Tyson Foods. In a conference call with reporters, Mercy for Animals' top investigator said it cited the McDonald's connection prominently in its news release because the restaurant chain has enormous purchasing power and is able to demand higher standards from its suppliers. McDonald's also condemned the treatment of the birds. It's not the first time Tyson has been accused by Mercy for Animals of using suppliers that abuse the poultry. The group released a video last month that showed farm workers in Delaware throwing crates of baby chickens and leaving injured birds to starve. In a statement in July, Tyson said it takes the claims "very seriously," that it is "investigating the matter," and does "not tolerate improper animal treatment."